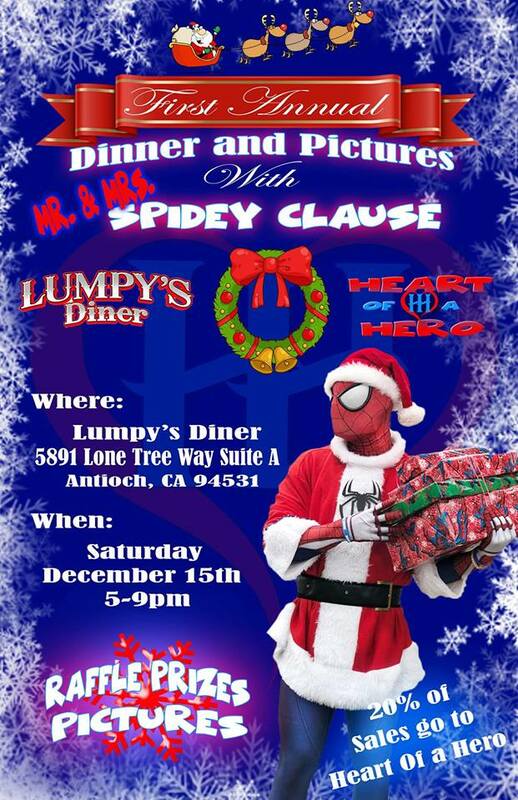 Join us on Saturday December 15th from 5pm-9pm at Lumpy’s Diner in Antioch Ca. For pictures and dinner with Spider-Man and Spider-Gwen as Mr. and Mrs. Spidey Clause. Lumpy’s Diner will be donating 20% of the dining sales to Heart of a Hero. There will also be a raffle with a chance to win many prizes. Including a wine basket, movie basket, spa basket and MORE. We hope to see you there! Where: Lumpy’s Diner 5891 Lone Tree Way Suite A, Antioch, Ca, 94531. Join us at The Old Spaghetti Factory in Concord Califiornia on Wednesday August 22nd, 2018! From 5pm-9pm The Old Spaghetti Factory will donate 15% of your dinners proceeds to our Heart Of a Hero organization to help us reach more children in need! So if you love pasta and helping kids, this is for you! 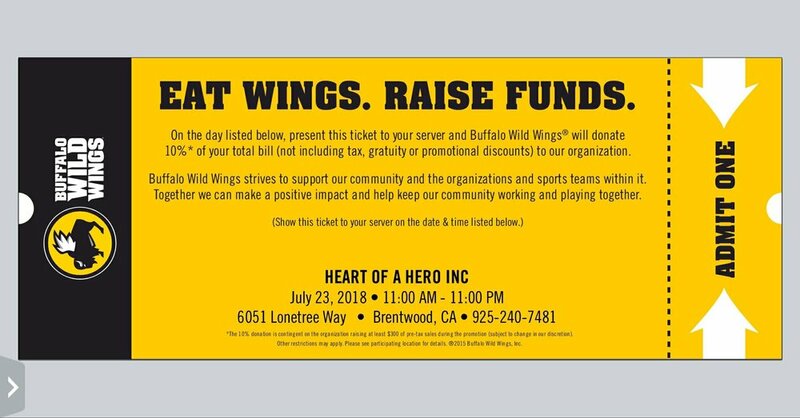 Please print and present this to your server the night of the fundraiser. We hope to see you there and thank you in advance!